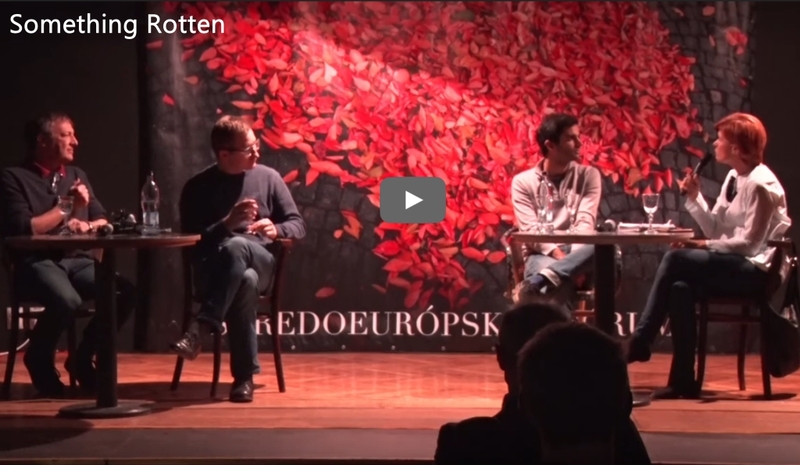 From the 16th-19th November 2018, Project Forum hosted the tenth Central European Forum, looking back at 1968 and the applicability of its ideals in Europe today. This playlist features the English-language discussions from the CEF 2018. To select which video you want to watch, click on the symbol with the three lines in the top left of the video window. To access the Slovak-language playlist, click here. The central theme of the tenth Central European Forum was “demand the impossible!”. In light of current events, this slogan from the Paris street protests of 1968 has recently acquired a new and urgent meaning in Central Eastern Europe. Sadly, Slovakia is not the only European country to have been shaken by an unprecedented murder targeting an investigative journalist and this year’s forum sought to examine the effectiveness and objectives of civil mobilisation in Slovakia and elsewhere in Europe in the face of political cynicism and corruption. Amongst the main guests seeking a way out of our current conundrum at this year’s CEF were: Yale Historian Timothy Snyder, Political Scientist Ivan Krastev, German Author & Lawyer Bernhard Schlink, Polish Sociologist Sławomir Sierakowski and Marci Shore, the American historian who has been mapping the Central European experience. 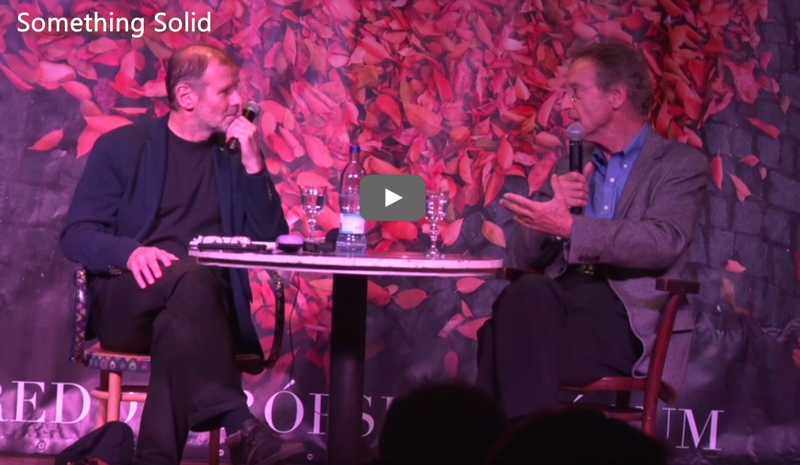 Slovak audiences also got their first chance to hear the British investigative journalist and author of McMafia, Misha Glenny, and the renowned Norwegian anthropologist, Thomas Hylland Eriksen. Moreover, the CEF was proud to introduce three more acclaimed authors to the Slovak public, with the French literary sensation Edouard Louis, the Polish poet and essayist Bożena Keff and the Hungarian writer and poet Gábor Schein attending in 2018. 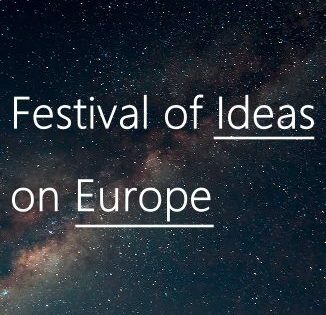 On top of all these well-known guests, the 2018 edition of the CEF also featured speakers with very personal experience of the political drama affecting Europe, with Bratislava hosting: the London-based economist & son of the murdered Maltese journalist, writer and philosopher Daphne Caruana Galizia, Paul Caruana Galizia; Radu Vancu, a leading figure in the mass protests against corruption in Romania; and Norwegian activist and politician Erik Kursegjerde, a student, local politician and survivor of the 2011 Utøya massacre. And, besides the debates, this year’s CEF also saw a screening of the documentary drama Baghdad, conceived by Dutch Writer Chris Keulemans and the young Iraqi-born actor and filmmaker, Enkidu Khaled, portraying a conversation between two worlds and two individuals, who were both born in Baghdad and for whom the only thing left to do is to talk. Miss the debates? All the main panel discussions were all live streamed and you can find an embedded playlist of most of the discussions at the top of this page. Click on the event titles to make event descriptions appear/disappear. All times in CET. Something that, until recently, had seemed unimaginable in the European Union has now happened on several occasions. First in Malta, then in Slovakia and, most recently, in Bulgaria: three brutal murders of journalists who uncovered links that were intended to remain unseen. Investigative journalists are the present-day martyrs of democracy, as its edifice crumbles and the interests that corrode it rise to the surface. Is Europe facing a new synergy between organised crime, corruption, oligarchs and economic elites? What makes governments vulnerable to their impact? What can we do about this? This debate was preceded by a short opening speech by Karel Schwarzenberg, which you can find here. In Poland as well as in Hungary a key factor in the disintegration of democratic institutions has been the battle for the constitutional court. A few weeks ago, a similar situation arose in Slovakia. This debate posits that democratic societies need to more thoroughly discuss what constitutes genuine guarantees of freedom and the principles that must prevail – talking not just about the constitutional court or its importance, but about why we really need democratic freedoms to be enshrined in our constitutions. A reading of Second-Hand Time in Slovak translation by Ingrid Timková and an introduction to Alexievich and her work by Peter Balko. In discussion with the audience, Natalia and Svetland ask whether the imperative of truth and love may, in fact, be futile and why echoes of the 20th century still inflict pain, especially in Russia, Belarus and Ukraine. What options are there for democratic societies today? How can they choose between the cynicism of corrupt political elites and the cynicism of populists? How did the democracies that grew out of the revolutions of 1989 stop being decent? Why are Western democracies also losing their decency? This debate posits that Europe needs not only a mobilisation of citizens but also a mobilisation of ideas and imagination. Solutions that twenty or thirty years ago were regarded as tried and tested and inevitable are no longer sufficient, but how do we go about finding new ones? 2018 has been the year of unprecedented civil mobilisation in Slovakia, against corruption and against the entanglement of power with crime. How can the mass rallies and marches be transformed into a pathway to a decent, functioning democracy? What alternatives are there to the absence of decency in the powers-that-be? The continuing and accelerating warming of the atmosphere is directly linked to the overheating of social and mental processes. What are the specific links between them and how did they arise? How is this acceleration connected with the explosions of hatred we can see around us and their ideological forms? Is it really new? Is the rise of aggressive or, indeed, insane ideologies in Europe the result of a general process of acceleration? How can this trend be stopped? In 1968, our parents had hope, even if they were demanding the impossible. What can we hope for in 2018? Is there any hope left? Are our enemies our fellow human beings? What is the best way of dealing with them? Should we mobilise and demonstrate against them? Or should we sit down with them for a cup of coffee and a chat? These are the questions a young activist and politician who survived the Utøya massacre tries to answer in this debate. 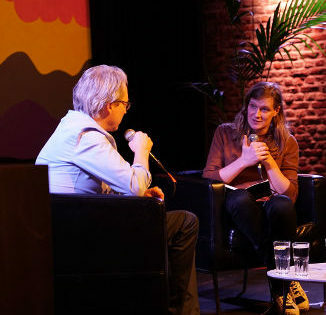 Videos of the festival debates can be found at the top of the page and can be accessed by clicking here. Furthermore, you can stay informed about all Central European Forum events by following their Facebook page, which you can reach by clicking here. A full list of partners and supporters of the CEF can be accessed by clicking here.